Our class manipulation code is a bit clunky, but luckily there’s a DOM property that makes everything easier: the classList property. Unfortunately, it doesn’t work on all the browsers we’re supporting. 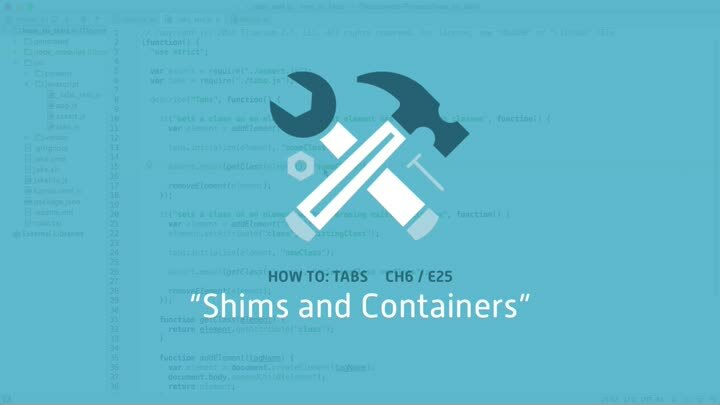 We introduce the concept of “shims,” for making new features work on old browsers, then move on to refactoring our test cleanup code to use a container.